My friend Jen asked us to answer these few questions before coming to her house for a Mother’s Day Brunch. Thought I’d share my answers. Hey, it’s my Birthday…I can do what I want! What do children know more about than adults? I think they can hear God’s voice more clearly. I have been amazed more that once by the things the girls have said to me, knowing that somehow God was sending a message to them in their terms, in ways they could understand. Without a doubt, spending a summer in Uganda at 19 with absolutely no connection to home, parents, etc. What would you most like to ask God? Why couldn’t I have been taller and thinner? 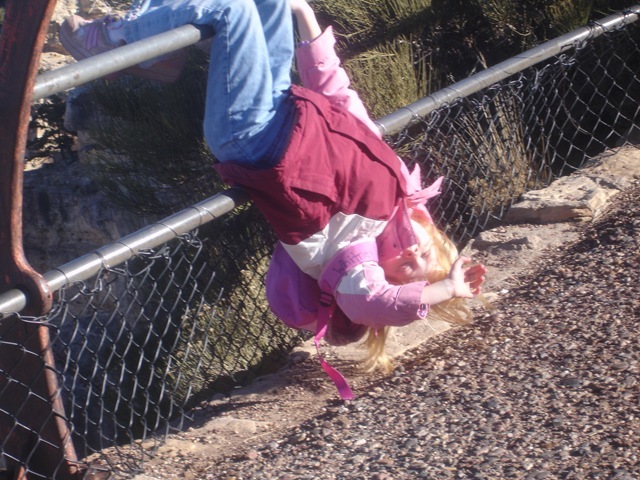 What is one of the funniest things that has happened to you since becoming a Mom? 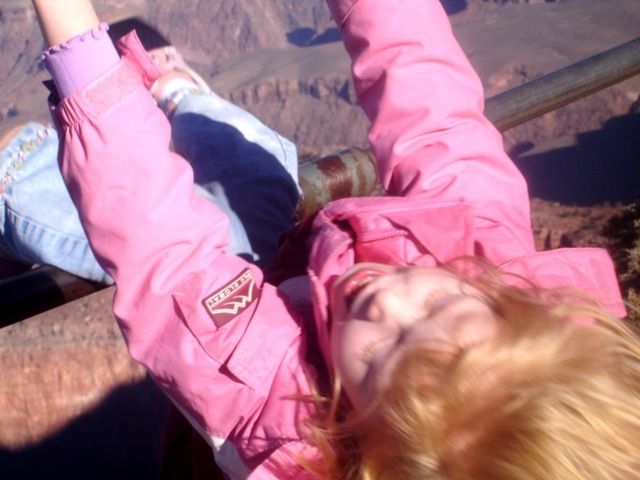 Finding Whitney hanging by her knees on a bar over the Grand Canyon with Maddie laughing and taking her picture…not funny in the moment, but a story that defines Whitney in so many ways. What is the one lesson you really want your child to get? That they are valuable and precious not because of what they do, but because of who God made them to be. ← Who wouldn’t want to be the perfect wife?